When spoiled child Mary Lennox loses her family to a cholera outbreak, she moves to her uncle’s manor surrounded by a massive garden. Within, Mary discovers a whole new outlook on life thanks to a supportive household and the garden’s power of healing. bookappeal (Grade: C) A sweet story of two children who discover the healing powers of nature and a pleasant attitude. The style of writing (c1911) is very descriptive and the author's point is made repetitively. The Yorkshire dialect could be difficult for juvenile readers but the concept of getting out and enjoying nature is appropriate for today's culture. TheKeyLime (Grade: B) Baby’s first gothic novel. I was actually assigned to read this in the 4th grade. It's the first book I ever faked my way through. I'm glad I finally read it. It's cute. I wish my 4th grade teacher had attempted to make it more exciting. I also wish she hadn't said girls don't need to know math. Really, she was kinda terrible. hazel (Grade: C) Actually, instead of 3 stars, I'd say this was actually more like 3.5 stars. 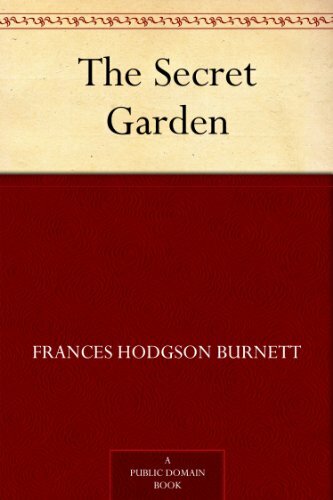 I've seen 2-3 versions of the Secret Garden films, and loved them all. There's something wonderful about the way the three children are with each other. Although one of the movie versions followed the book so well that there weren't too many surprises, it was still a lot of fun to read.